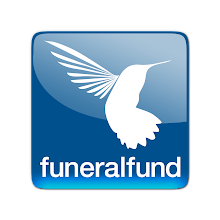 Funeral Fund Blog: You can’t have it your way – at funeral homes in the northeast. 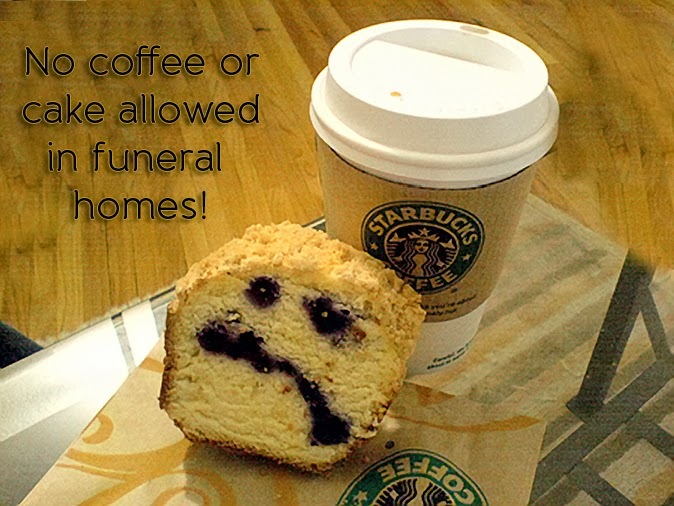 You’ll have to put that donut down and finish that coffee before entering a funeral home in New York, New Jersey, Connecticut and Massachusetts. These four states are stringent on not allowing food or beverages of any kind within the funeral home. No coffee or cake for you in the northeast! There are actually seven states with regulations directly addressing food or beverage service in funeral homes. Four states in the northeast (Massachusetts, New Jersey, New York and Connecticut) prohibit the practice. In New York, funeral employees cannot even bring food into the facility for lunches or snacks. These laws have been in effect since the 1960’s and no one appears to know why they were put in place. Three other states (Missouri, North Dakota, and Vermont) specify more flexible conditions for food and beverage provisions. In Missouri, food sanitation laws and rules apply to food service provided at funerals, but there is an exception for coffee if all state and local laws are met. Pennsylvania lifts ban on food & beverages in 2012. Pennsylvania which also banned food and beverage service in funeral homes for over 30 years, lifted the ban in 2012, after funeral directors claimed that the statue violated federal constitutional due process provisions. The decision came in response to a 2008 lawsuit filed by 33 representatives of Pennsylvania's funeral directing industry against the state. State Senator Thomas Kennedy advocates for funeral food in Mass. In Massachusetts, however an unlikely advocate; State Senator Thomas Kennedy has continuously filed a bill on Beacon Hill that would allow family members of the deceased to take a break during wakes at funeral homes so that they could have refreshments—something that is not currently allowed under Massachusetts state law due to potential health hazards. But every time, his argument falls flat. He has tried 12 times. The idea to file the bill originally stemmed from a personal experience Kennedy went through when his aunt died, and a funeral director scolded his family for sitting in a room adjacent to the casket to talk and have coffee and snacks. “I feel for the mourners, the widows, and immediate family members that they can’t sit in another room and have a cup of tea and get some nourishment and then greet their friends and family and feel somewhat energized,” he says. “At no point did I intend for my bill to be looked upon as an affront for the deceased—merely as a way to help comfort family members and mourners at an already difficult time, nor was it intended to mandate that funeral directors provide these amenities—only that the prohibition be lifted,” says Kennedy. In his request, Kennedy said that the argument that allowing immediate family members access to refreshments—like coffee, tea, or sandwiches—poses a health risk, because it’s in the same vicinity as a decedent, is “less than persuasive.” “For decades, wakes and funeral services were conducted in the deceased’s home, where food and refreshments were served to attending mourners … Just as a host would extend hospitality of food and refreshments to visitors in their residence, that same courtesy should be extended to visitors at a funeral home,” Kennedy wrote in his letter. Kennedy says that if the bill were passed, the necessary steps would be taken to ensure “complete public safety and well-being,” in terms of food being served, so that no food or beverages would be near any chemicals used at the funeral homes for embalming or other practices. “I’m very traditional and come from an old Irish family. In the old days, they had the wake at the house. You would have food and drink for all your family and friends. It was a tradition to be a host to the visitors and supporters that came,” he says. So, the bigger question is, "If we're providing meals, will we need to be licensed and fall under the auspice of food inspectors?" he said. And the answer is yes if the funeral home cooks food and provides it to the public, according to Nicole Bucher, spokeswoman for the Pennsylvania Department of Agriculture. 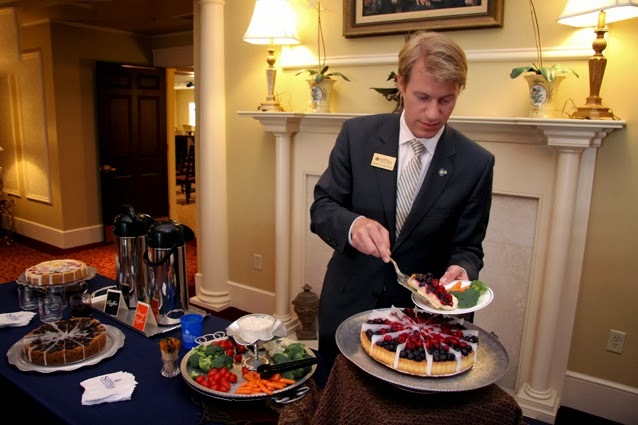 Due to the risk of food-borne illness, funeral homes will need a state license if staff there will cook on site and distribute food to funeral guests. However, if the funeral home uses a caterer, or buys trays of food from grocery stores or other locations, it will not need a license. The caterers and other food providers would already be licensed. What are your thoughts? Personally, I have seen Starbucks in funeral homes in the south and even full scales kitchens and banquet rooms there as well. Families seem to welcome funeral food and it reflects positively on the funeral home and their caring ways. I am an employee at a funeral home and I think this bill is a great idea. To have to tell a family member or visitor in mourning that they can't bring in food or beverage is humiliating. They are grieving and need some nourishment and we must tell them to finish it outside no matter the weather conditions. Aren't they going through enough? Masada memorial Chapels is a unique funeral home our mission is to provide affordable traditional Jewish funerals for the local Sephardic and Israeli communities.Of course, the funerals are arranged and conducted by professional licensed funeral directors and orthodox Rabbis, Our funerals are conducted with dignity and in strict compliance with Halacha (Jewish Law) and Daat Torah. I like your post. Your post is very helpful for vending machines info finder. I think this post is very nice and informative. Funeral Home in Brooklyn NY - Masada Memorial Chapels Funeral Home continues to serve the public in all kinds of funeral arrangements and preparations. Our experienced, qualified staffs are ready to help you 24x7. 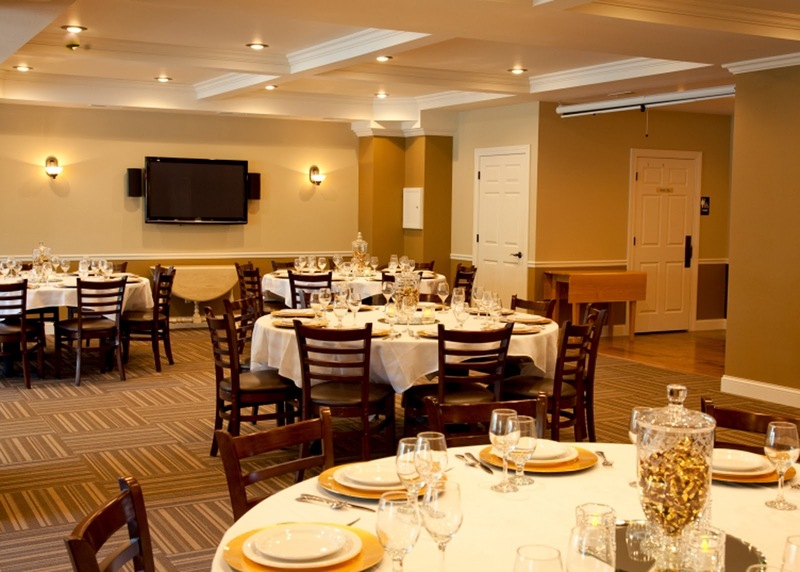 Caribe funeral home newest and biggest funeral home in Brooklyn serving community of all New York. We believe in personal attention and uncompromising quality. We are proud of our long standing traditions, our serene facilities and steadfast commitment to serving families in their deepest time of need. I learn new in this post. Quite intriguing but I got your point about funeral homes.